These are finger-licking good! This is a great recipe to have for a holiday weekend or a gathering, big or small. Marinate the wings in a sealed container and you are ready to get grilling at anytime. Great for those pop in guests. Everyone loves chicken wings, you can't go wrong. The flavor of these wings are sweet and spicy but not too spicy. Wings on the grill are the perfect party food! Marinate the wings for 1-6 hours. I usually use a zip lock bag but a shallow dish will work. 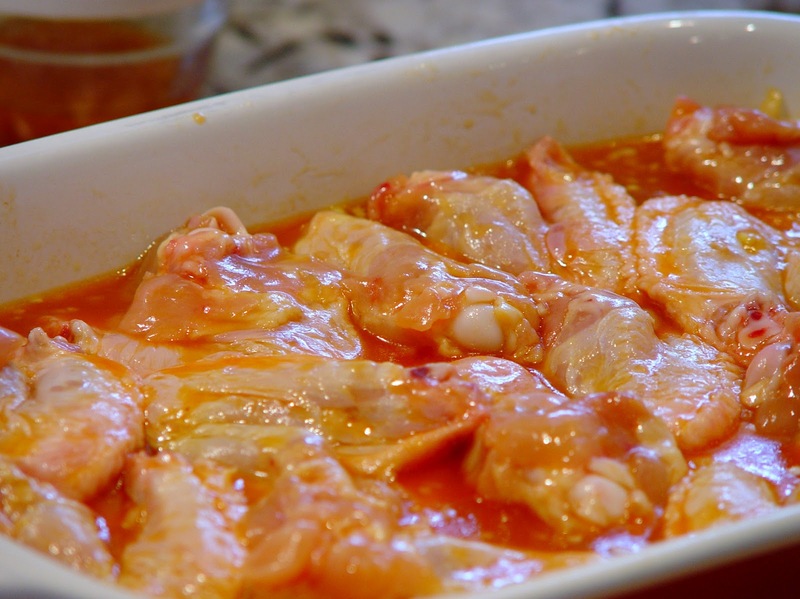 Mix all ingredients together and toss with the wings and let the wings marinate for up to 6 hours. Cook on a low heat on the grill for about 30 minutes, turning every few minutes. Remove from the grill and toss the chopped cilantro over the wings.